In a new record, Income Tax worth Rs 10.03 lakh crore was collected during 2017-18, the Central Board of Direct Taxes (CBDT) said on Friday (17 August), reports Press Trust of India. A record has also been set when it comes to the number of Income Tax filings. During a two-day conference of Income Tax Administrators of Eastern Zone in Guwahati, CBDT member Shabri Bhattasali said that 2017-18 also saw a record 6.92 crore Income Tax returns being filed, 1.31 crore more than 5.61 crore returns filed in 2016-17. Coming to the number of new Income Tax filers, Bhattasali claimed that a total of 1.06 crore new filers were added in 2017-18 and the target is to add 1.25 crore more for 2018-19. As per Principal Chief Commissioner of Income Tax, North Eastern Region LC Joshi Ranee, Rs 7,097 crore in tax was collected from the northeastern states, which was a 16.7 per cent growth from the collection of Rs 6,082 crore. They now target a 17.75 per cent growth over the current figure to net about Rs 8,357 crore for the assessment year 2018-19. To fulfil its targets and increase the taxpayer base the Income Tax department has opened Aaykar Seva Kendras in 22 out of 29 stations in the northeast. 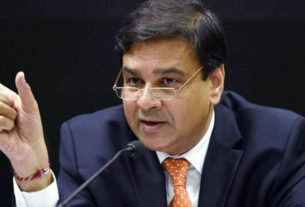 RBI issued Revised framework for Stressed Assets. Priority Sector Lending Targets for FY 2018-19 for Foreign Banks with 20 or more Branches.